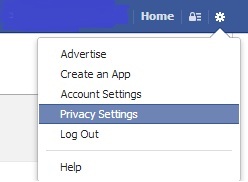 If you want to restrict your Facebook wall or timeline from others to post then you may change your settings in Facebook account and None will able to post on your wall excluding you. You may post anytime on your Facebook wall but not others on your Facebook wall. This entry was posted in Facebook on February 7, 2013 by Yogesh Bajpai.